Representatives from Damen Group appeared before the Senate inquiry into the future of Australian shipbuilding to discuss the company’s success stories over the last decade, as it looks to secure the $3 billion SEA 1180 Offshore Patrol Vessels contract. Roland Briene, Damen area director Asia-Pacific, and Mark Todd, Damen’s Australian representative, told the inquiry Damen’s global experience in establishing sovereign shipbuilding capabilities is the ideal blueprint for what Australia is aiming to achieve with the OPV and Future Frigate programs. Briene said the ideal examples of this experience is the transformation of the Netherland’s naval shipbuilding capability into a globally competitive export industry, building two frigates for the Indonesian Navy in Surabaya using technology and intellectual property transfer programs, and building more than 250 ships in Vietnam, employing more than 6,000 locals in the process. Briene also emphasised that future of Australia’s shipbuilding capability will be closely linked to Australia’s success as a nation. “A paradigm shift is required to avoid many of the pitfalls that the industry has experienced in the last decade with both major and minor fleet unit acquisitions,” Briene told the inquiry. “To achieve and sustain a sovereign shipbuilding capability for Australia there is a requirement to select the right new entrants who have a proven track record transforming local shipbuilding markets. 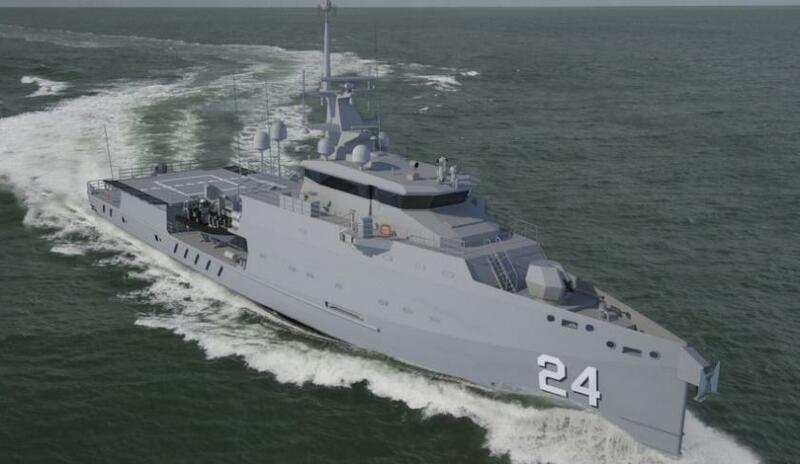 Damen has partnered with ASC Shipbuilding and Forgacs/Civmec for the project, as has German bidder Lürssen, while Fassmer has partnered with WA’s Austal.